The sad truth is people don’t really try to fix brain issues until the signs something are wrong are so glaring, that it also signifies it may be too late. It doesn’t matter if all of your other bodily systems are working in perfect order; if the health of your brain is on the decline then it means your life will be miserable. And not only will cognitive decline wreak havoc on your life, it will also compound the misery as your inability to think clearly, or take care of yourself becomes a burden on others. It’s for this reason that I suggest anyone reading this take seriously the task of improving brain health now. Ok, now that I just gave you that stern warning it’s time to relax. Because even though brain health is a serious matter, the fact is your brain is a tremendously resilient organ. And even if you’ve used and abused it for years it’s remarkably adaptable and can be made well again. In the realm of neuroscience this is called “neuroplasticity.” And thanks to neuroplasticity you can regenerate and restore a damaged brain as well as protect a healthy one from becoming progressively unhealthy. 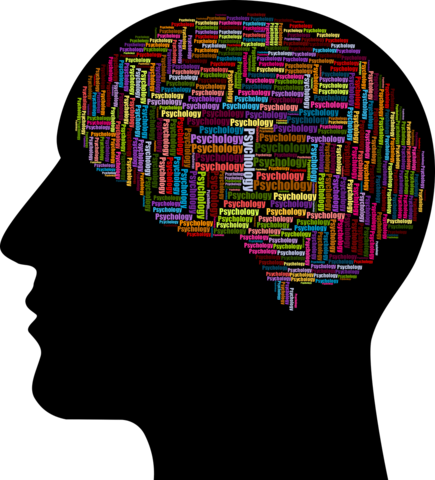 To understand how neuroplasticity helps protect your brain, it’s important to understand exactly what neuroplasticity is. There are many ways to help increase neuroplasticity for brain protection. Some of the most important ways have to do with behavioral adjustments. This would include things like adding high-intensity exercise into your daily life, sleeping well, participating in brain games, reading with more frequency, fasting and more. The other way to enhance neuroplasticity is by changing your diet and supplementing with nutrients with the clinically proven power to protect your brain and its connections. This is exactly why I created Brain Save. Brain Save is a precisely formulated blend of herbs, amino acids and nutritive compounds that my team has developed to help protect the brain and enhance neuroplasticity. Brain Save came into being when I realized many of the supplements I use for other conditions (like blood sugar, sleep therapy, hormone regulation and more) all had powerful brain supporting or brain-protective properties. By taking Brain Save you can help offset the damage done to your brain by aggravants such as lack of sleep, environmental toxins, and more. Here’s how Brain Save works to protect your brain and increase cognitive function. Your brain is made up of trillions of neural connections. Information is passed across the connections to move your muscles, make your heart beat and answer a Jeopardy question. All of this happens thanks to tiny pulses of electricity. Taurine, an essential amino acid, helps to increase this electrical activity so your brain passes information along smoothly and quickly. Glycine is another amino acid that has powerful effects on the brain. Studies have shown it can help to dilate microvessels which allow for more blood to be transported through the brain, while other studies show glycine can help to reduce the unwanted presence of cholesterol, free fatty acids and triglycerides in the blood circulating in the brain, which has the power to increase brain function. I’ve been giving patients berberine for years to help improve blood sugar. Turns out, this herb also will keep the brain healthy too. Studies have shown berberine will help dissolve dangerous amyloid plaques which improves brain function and also acts as an antioxidant protecting your sensitive brain cells from the ravages of oxidative damage. An over-excited brain is not necessarily a healthy brain. When your brain is unable to calm down it means it continues to fire signals across the body which can lead to some obvious problems. Chief among these are sleeplessness, nervousness, anxiousness and more. Ashwagandha has the power to help calm the brain down, which may improve general areas of health related to brain function. For example, if your brain is too excited and you can’t sleep it then exposes your brain to damage as sleeplessness promotes damage to sensitive neural tissue. By including ashwagandha in your supplement regimen you can help protect your brain from too much excitement. Alpha Lipoic Acid could help protect your mitochondria, which are the part of the cells responsible for creating energy for the brain as well as the rest of the body. There are studies showing that taking Alpha Lipoic Acid helps to increase the level of glutathione (a master antioxidant) in the body which prevents future mitochondrial dysfunction. Other studies show Alpha Lipoic Acid may improve insulin sensitivity and improve blood sugar levels. Impaired insulin function and bad blood sugar are often linked to an increased rate of cognitive decline and this therapeutic benefit could certainly help to improve brain function. In an article on my blog, I wrote about how Bacopa is strongly linked to memory protection. In another double-blind study of sixty-two 18-64-year-olds, they found after 90 days of taking 300mg of bacopa, working memory increased and the precision of rapid identification was also improved. Then there was the double-blind study of 86 individuals over the age of 55 with age-associated memory impairment. When they took just 125 mg of bacopa for 12 weeks, this helped increase their memory in various parameters researchers were concerned with. Coffee has been known to be a brain booster. But it’s not necessarily the caffeine that helps to shore up the brain. It’s more likely the polyphenols inside. Studies show decaffeinated green coffee could cause a person to become more insulin sensitive which would improve blood sugar and modulate metabolism in such a way that it gave the brain more cellular energy. The way it appeared to work is the green coffee extract switched brain cells over from using sugar for energy and induced them to burning fat (ketones) instead. Ketones are 225% more efficient from an energy standpoint which helps to fuel the brain better. Free radicals pose a threat to brain cells. If they hit your brain cells they can ruin how the mitochondria work. Studies show CoQ10 acts as a powerful antioxidant which can help prevent the brain cells from becoming so damaged that a future of cognitive decline is a reality. Neurotoxicity is a real danger to the brain. PQQ can help prevent the brain from remaining toxic. “In a mouse model, mice were given a formulation containing PQQ and other ingredients (green tea, blueberry powder and extract, carnosine, vitamin D, and grapeseed extract) for 12 weeks. The researchers then compared their behavioral and neurological progress with similar, but unsupplemented, animals. The supplemented mice experienced benefits over their unsupplemented counterparts, including reduced motor deficits and reduced cognitive impairment. They also learned significantly faster and had better recall. Huperzine A is an alkaloid that comes from a certain kind of moss. The reason I included it in Brain Save is because there are strong associations between it and improved neurotransmitter levels. “Huperzine A increases acetylcholine levels (one of the brains most important neurotransmitters) in rat brain for up to 6 hours post administration [R]. An increase of acetylcholine seems to differ between different parts of the rat brain. Following administration, maximum levels are observed in the hippocampus after 30 min and in the frontal and prefrontal cortex after 60 min. If you’ve read this far I’d imagine you’re ready to try Brain Save. The good news is we just released it in our store, which means you can finally get it. I’m confident there’s no better supplement on the market for the price than Brain Save. To get yours today, simply click here or on the image below. And do me a favor. Once you’ve taken it for a few days and you feel the benefits, will you leave a review and let us know how well it’s worked for you? Patients and customers all across the nation need to know this truly is a game changing supplement.